DEVA™ is proud to offer its new product that contains both DHA and EPA derived from a completely vegetarian source (i.e. Schizochytrium sp microalgae). Algal Omega-3 oil has been commercially available for a while but it did not contain meaningful amounts of EPA. This new product contains both Omega-3 DHA and EPA from microalgae that is grown in a controlled land facility, outside of the ocean. From start to finish, it is produced in an FDA-inspected facility, under current Good Manufacturing Practice (cGMP) regulations with controls in place to ensure the highest quality product. 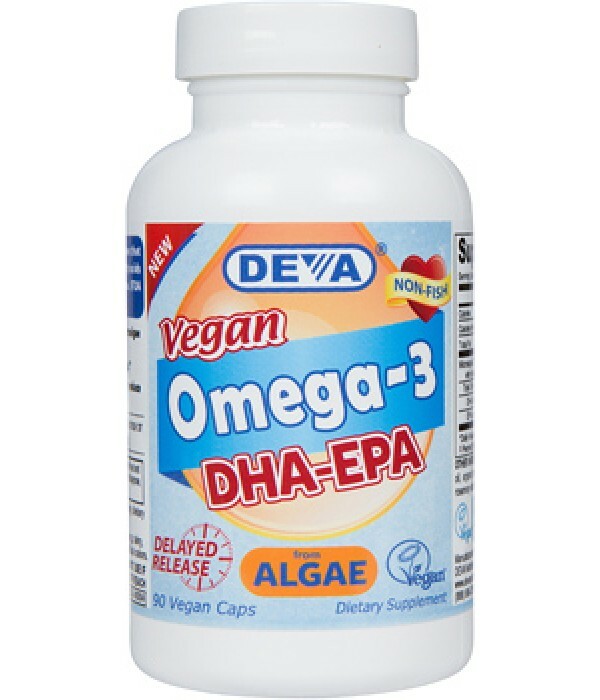 DEVA DHA & EPA oil is encapsulated in delayed release vegetarian capsules to help reduce repeat/aftertaste issues associated with Omega-3 products. This type of non-animal capsules do not contain any gelatin or other animal derived ingredients. 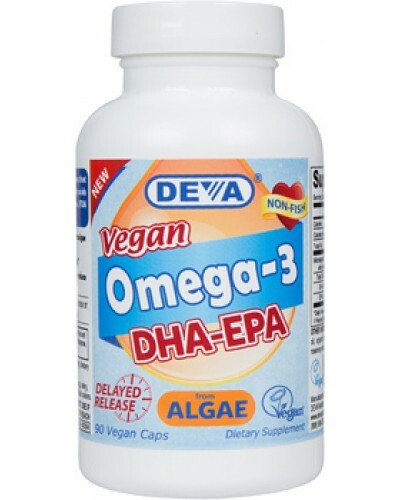 DEVA Omega-3 DHA & EPA is 100% vegan, vegetarian and is registered by the Vegan Society, the non-profit organization that actually invented the word "vegan". *Daily Value not Established +Percent Daily Value are based on a 2000 calorie diet. For adults take one (1) or two (2) vegan capsules a day with food or as directed by a health care professional. Free of yeast, wheat, gluten, sugar, salt, hexane, dairy, egg, fish, shellfish, artificial colors; animal products, byproducts or derivatives.